Alp Arslan’s reign did not see any considerable further expansion of the territory under Saljūq control. The most notable military event occurred near the end of the reign, as the result of the unruly behaviour of the Ghuzz tribesmen. Groups of them, unwilling to submit to the authority of the central Saljūq government, had kept going in a westerly direction, beyond the sulṭān’s jurisdiction. They had ultimately arrived on the eastern Anatolian borders of the Byzantine Empire, where they proceeded to raid and plunder in the traditional nomad way. To permit this to continue in an uncontrolled fashion was unacceptable to Alp Arslan, and he therefore marched west, in an attempt to bring an end to this manifestation of frontier private enterprise. The result was unexpected, and quite unintended by the sulṭān. The Byzantine Emperor Romanus Diogenes chose to march east with his own forces into eastern Anatolia. In Alp Arslan’s view this was a breach of truce, and he therefore proceeded north from Syria to meet the Byzantine threat. The two armies met, in 463/1071, at Manzikert. The Byzantines were soundly defeated, and Romanus Diogenes himself was captured. Although the Byzantine Empire survived in various forms for nearly another four centuries, it was never again able to put so formidable an army into the field. This was because of what happened in the aftermath of the battle. Byzantine control of eastern and central Anatolia lapsed, the Ghuzz tribesmen poured across the frontier, and there they stayed. The area they occupied had been one of the Byzantine Empire’s chief sources of revenue, and also its principal military recruiting ground. At the end of the century the Byzantines were able, as a result of the First Crusade, to regain possession of western Anatolia and the coastal strips. But the centre was lost for ever. In due course a new Turkish state, the Seljük sultanate of Rūm (i.e. “Rome”) was formed in Anatolia, to be followed after many vicissitudes by the Ottoman Empire. “Turkey” was a consequence of the battle of Manzikert, even though nothing had been further from Alp Arslan’s intentions than to attack the Byzantines or to occupy any of their territory. Alp Arslan died in 465/1072. His son, Malikshāh, made good his claim to the throne, but as before the succession was not undisputed. This time the main rival was Malikshāh’s uncle, Qavord, who in accordance with the Turkish principle of family sovereignty had been made semi-independent ruler of Kirmān, in the south-east of Persia. His claim was based on the contention that as Alp Arslan’s brother he was the senior member of the family, and should therefore take precedence over the late sulṭān’s son. He resorted to arms, and was defeated and executed. Malikshāh’s position was assured, and his reign was characterized by an imperial unity that was never subsequently to be seen in Saljūq times. There was some expansion of Saljūq territory during the reign: Malikshāh made his mark in northern and central Syria, where (again conforming to the notion of family sovereignty) a subject kingdom was set up by his brother Tutush. Niẓām al-Mulk remained at the head of the bureaucracy throughout the reign. Attempts were made by jealous rivals to unseat him, but he successfully (though not always easily) fought them off, and he seems to have retained Malikshāh’s confidence almost to the end. Niẓām al-Mulk owed the security of his position in part to the extent to which he installed his own sons in responsible posts. There was no civil service “esprit de corps” in medieval Persia. The way to the top was often that of discrediting – and bringing about the fall of – the current wazīr. Only by retaining the support of the ruler and by installing as many reliable people as possible at the lower levels could a wazīr hope to remain in office. It is not naive, however, to say that one way of keeping in the good graces of the ruler was, in fact, to be an efficient administrator, since efficiency made for stability and high receipts from taxation. Niẓām al-Mulk seems to have been efficient, and he was probably honest enough according to his lights and by the standards expected of the powerful in his day. In 485/1092 Niẓām al-Mulk was, literally, assassinated: that is, he was murdered by a member of the Nizārī Ismāʿīlī sect, otherwise known, at least in Europe, as the Assassins. They had become firmly established in Persia only two years before, in 483/1090. Niẓām al-Mulk was one of their first and most illustrious victims, but he was very far from the last. Malikshāh himself died in the same year, not long after his great minister. His death marked the end of stability in the Saljūq empire, and the beginning of a gradual decline. 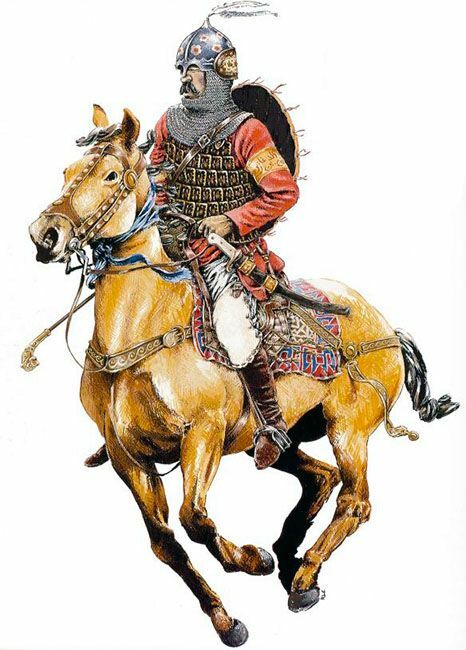 It is important to remember that the Saljūqs came to Persia not as barbarian destroyers, but as quite long-standing converts to Islam who were familiar with – and to an extent sympathetic to – Islamic civilization and urban life. Their arrival had more the character of a tribal migration than of an outright invasion and conquest: it has been said that they acquired a vast empire “almost by chance”. There is no reason to doubt that their incursion involved some destruction and dislocation, at least temporarily; but this seems to have been comparatively incidental, and was probably no greater than that caused earlier by the depredations of the Ghaznawid armies. In all this the Saljūqs were very different, as we shall see in a later chapter, from the Mongol conquerors of the thirteenth century. This was inevitably linked to the numbers involved in the migration. They seem to have been fairly small. We should be thinking in terms of tens rather than hundreds of thousands. 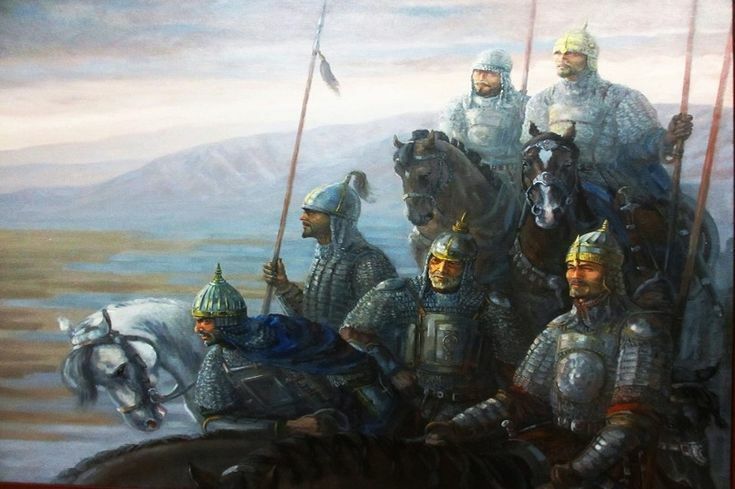 Alp Arslan’s standing army of 10,000–15,000 was not untypical. Contemporary and later chroniclers normally put tribal hordes of the period in the bracket 700–10,000. Such numbers of Turks, bearing in mind the very large area involved, are perhaps unlikely to have done an excessive amount of damage. The most important long-term effect of the Saljūq conquest was probably the change it initiated in the balance of the population of Persia. This had both ethnic and economic aspects. 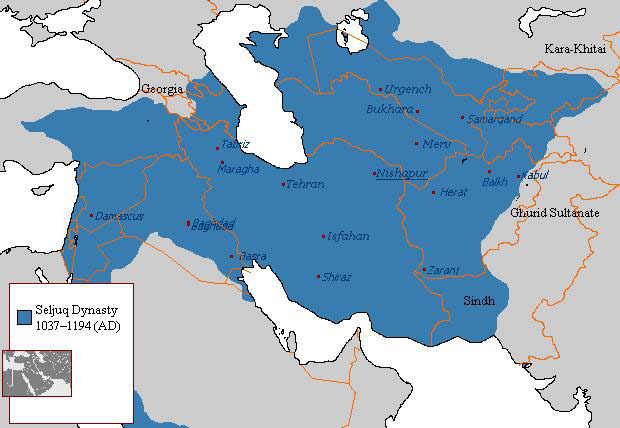 A large proportion of Persia’s present-day population is composed of Turks, i.e. those whose first language is some form of Turkish and whose ethnic origins are perhaps also Turkish. The question therefore arises: did the ancestors of these Turks come to Persia in the Saljūq period? Scholars who have studied the problem have come to widely different conclusions, but as far as it is possible to judge, it would seem that while the Saljūq period certainly saw the beginnings of the significant Turkicization of Persia, the bulk of the Turks first arrived in later centuries. Nevertheless there were major Turkish movements into, for example, Gurgān and Marv in the north-east and Āẕarbāyjān and upper Mesopotamia in the northwest; and lesser settlements were established elsewhere. It would appear that the Ghuzz tribes tended not to establish themselves very extensively where there was already a significant tribal or semi-nomadic population, as in Fārs, Luristān and Kurdistān. As we have seen, many of the Ghuzz took ill to the new Saljūq polity, and kept going to the west, to Syria as well as to Anatolia. But while this may have been in some ways a considerable relief to the central government, the difficulties did not go away. For the Ghuzz hordes were continually augmented, throughout the Saljūq period, by further immigration from Central Asia into the eastern parts of the empire, especially the province of Khurāsān. There, in the twelfth century, they presented Sanjar, the last of the Great Saljūq sulṭāns in Persia, with his most serious problem. A further factor of great importance was that the newcomers were not only Turks: they were nomads. It is clear, then, that there was at least a limited shift of the balance of the population, not only ethnically but also away from the settled and towards the nomadic sector. It does not, however, seem that this necessarily resulted in a reduction in the amount of land cultivated, as certainly happened as a result of the Mongol invasions. There is good reason for supposing that, for the most part, the nomads probably occupied land that had previously been unexploited. Indeed, it would even be reasonable to suggest that the new nomadic settlements were beneficial to the country, in that they played an important part in the economy as a whole through their provision of meat and milk products, wool, and skins to the towns. Overall, then, a verdict on, at any rate, the first half-century of the Saljūq period is likely to be a fairly positive one. The Saljūqs were not, by the standards of the region, destructive conquerors. The ethnic changes that occurred were not on an excessive scale. Economically the rule of the Saljūqs was probably, on balance, of advantage to the country. Administratively their achievement, or the achievement of the Persians they employed, was creative and lasting. This entry was posted in History by MSW. Bookmark the permalink.